Many people are wondering what the many aeroplane trails they are observing over our islands could be. Contrails are normal as they are caused by aeroplane engine exhaust and form due to condensation (hence the name contrails) of engine water vapour which meets the low ambient temperature at high altitudes. Contrails contain pollutants but since they consist mainly of water, they last only a few seconds or minutes. A chemtrail is left by aeroplanes and is loaded with chemicals which are deliberately sprayed. The chemtrail conspiracy theory states that these chemicals are sprayed secretively for negative reasons such as weather modification, human manipulation and chemical warfare leading to illnesses. Chemtrails persist for longer than contrails and create artificial clouds. It is said that chemicals used include barium, aluminium salts, thorium and silicone carbide. In May 2014 the US President of Agriculture Defence coalition addressing Chemtrails and Geoengineering in a United Nations meeting stated that chemtrails are causing climate change and weather changes and are impacting agriculture in a very negative way. 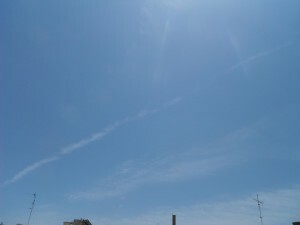 Last February it was reported that the Cypriot government accused the United Kingdom of interfering with the weather over the Mediterranean possibly using chemtrails to stop rain. The British Ministry of Defence was reported to deny such claims. Malta is surrounded by sources of pollution: aircraft exhaust from above, car exhaust from our roads and exhaust coming from the many vessels passing through our territorial waters. Another recent concern for us environmentalists is a trade deal negotiated between the EU and the US, the Transatlantic Trade and Investment Partnership (TTIP). This will allow a massively increase in imports from the US and this will have a negative impact on our agriculture as farmers will face stronger competition and lower prices. Europe is said to have higher safety standards regarding food production. The US government is calling for the EU to decrease its protective standards on pesticides and hormones and approve Genetically Modified foods. This will facilitate the importation of agricultural products from the US. Many questions arise from these two concerns. Are we observing chemtrails or contrails over our islands? Are the two environmental issues explained above linked and is one being done to facilitate the other? Why are we observing an increase in what seem to be chemtrails lately? Why are doctors invariably observing an increase in allergies every year? Why did it not rain this winter? Can these questions be answered by our government? 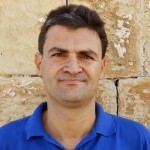 This entry was posted in Blogs, Media Statements, Viewpoints by Stanley Farrugia Randon. Bookmark the permalink.